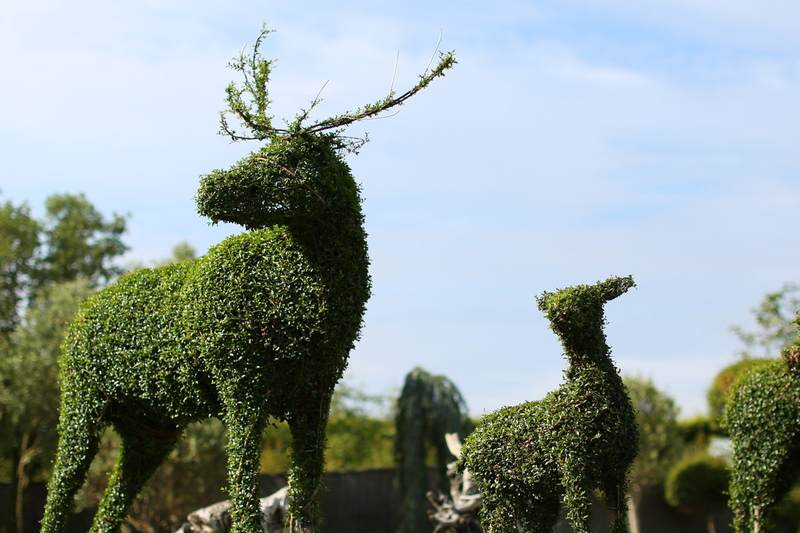 Topiary is the art of cutting trees and shrubs into ornamental shapes and is a fantastic way of adding style, structure and even an element of fun to the garden. The use of topiary in the garden dates back to the times of the Romans who had a special slave called a topiarius to maintain their topiary plants. Topiary was popular all through the Middle Ages, in Renaissance Italy, in 17th Century France — and now again in the 21st Century. 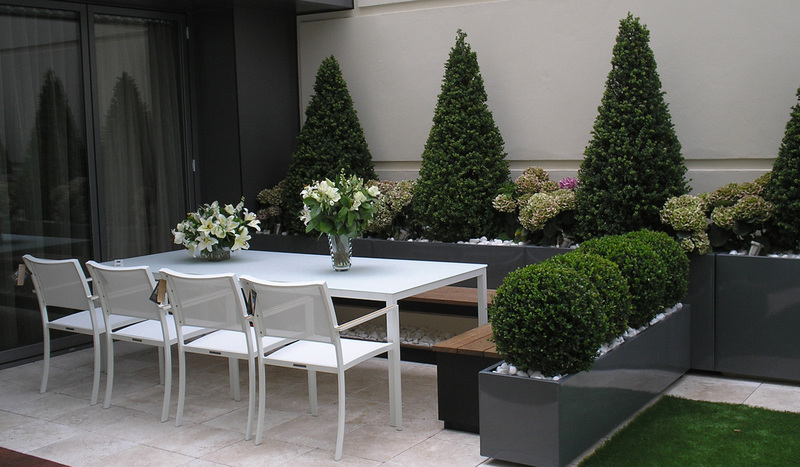 Topiary makes an impressive statement in any garden, either formal or informal, traditional or contemporary. Topiary comes in all sizes and shapes, and Clifton Nurseries prides itself on offering you them all! Topiary balls, cones, pyramids, lollipops and spirals are invaluable for adding structure and, when planted in multiples, for creating rhythm and patterns. Frequently used to great effect in formal gardens, these topiary shapes are also ideal for framing either side of a door, adding stature and style to the entrance. Yew (Taxus) and Box (Buxus) are particularly popular for formal topiary due to their small neat leaf size and dense growing habit as well as the fact that they thrive in both sun and shade. 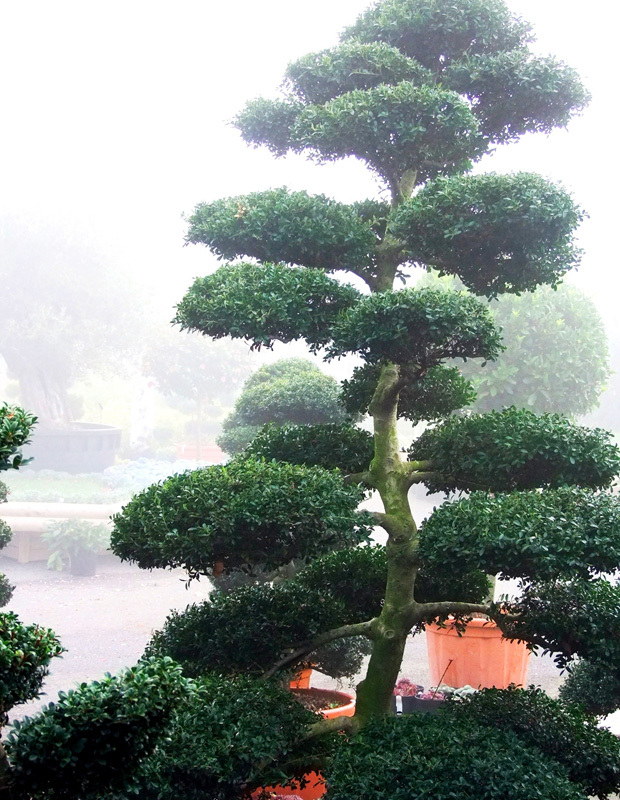 But you don’t need to restrict your choice to just Yew cones or Box balls - for more creative topiary look no further than the stunning Japanese ‘cloud pruning’ style of topiary, also known as Niwaki. Although frequently used in Japanese gardens, cloud-pruned topiary instantly adds that ‘special something’ to any style of garden, exemplifying as it does, the idea of topiary as a living outdoor sculpture. Often made of Japanese Holly (Ilex crenata), these beautiful shapes look particularly stunning covered with a layer of frost or snow. And the choices don’t stop there. 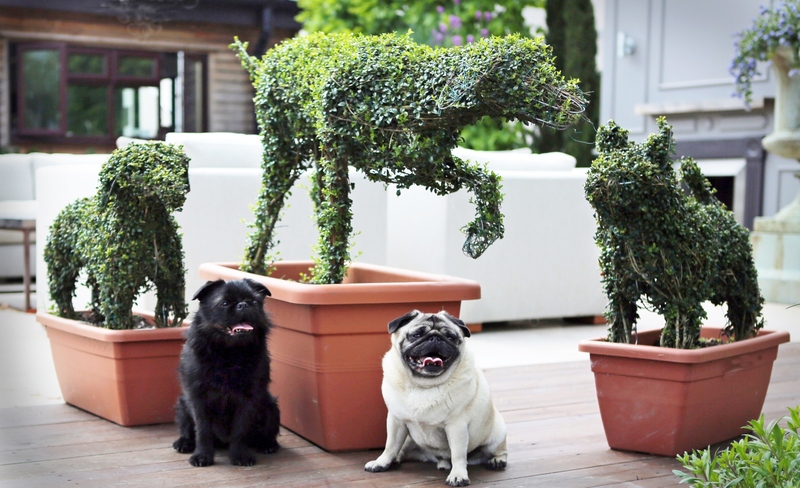 With the help of a hand-made metal sculptural frame, and by using the fast growing Japanese Privet (Ligustrum jonandrum), we can make a green plant sculpture in pretty much any shape so creating your own personal living work of art ranging from deer and dogs to bicycles and racing cars. So whether it’s balls, cones, pyramids, spirals or horses or even airplanes – with the combination of our standard ranges and our bespoke commission service, the only limit to the type and style of topiary in your garden is your imagination! Contact us now to discuss your requirements. A selection of our topiary pieces are available to buy through our Clifton Nurseries online shop or from our Surrey or London branches.